Considering my small, but ever growing collection of metal and wood type, it's not surprising that one might wonder how pre-designed ornaments or borders can create endless options of design layouts and style . Below are a few sample collections of digital representations of what centuries old moveable type can offer. These are but a glimpse to the hundreds of various metal ornaments and type I have been curating since 2015. Romantic Arboret, you are floral lace on paper! These intricate vines were designed in 1889. Arboret will set the perfect tone for your enchanting day. From tear drop leaves to tangled vines this centuries old design is the perfect option for your foliage inspired vintage setting. Oh ornaments! 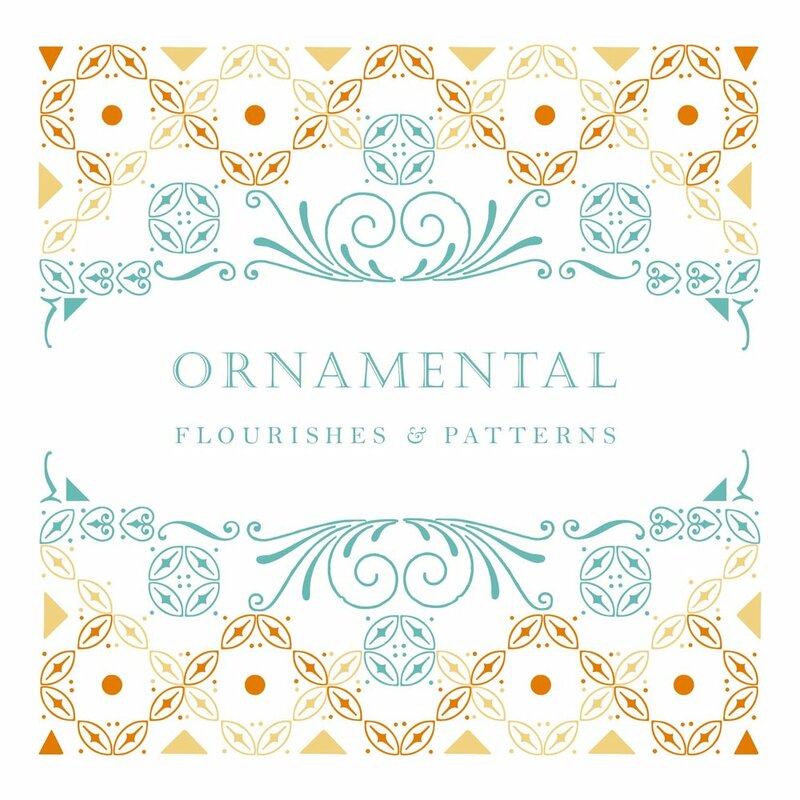 From delicate flourishes to bold patterns, my studio's collection of vintage ornaments and borders can create the most stunning patterns and designs. This collection is perfect for those looking for the out of the box and graphically intricate designs. Calling this collection a statement piece would be understated. Sometimes less says more. This collection is adorned by white space with minimal details. These designs are perfect for those who wish to add custom embellishments and have an appreciation for centuries old typography. However, if you're a fanatic of eclectic typography mix ups - we can surely hand-set a design that is just your type.